For my day outfit, I wanted something that was casual but also on the fashionable side. 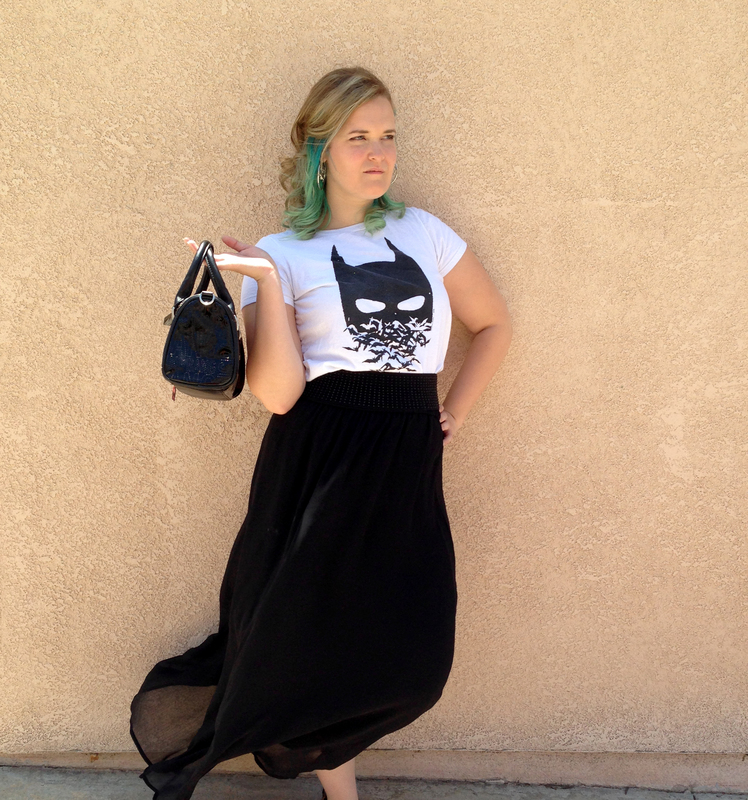 Of course, I needed to start with a Batman tee, and then I paired it with a black chiffon maxi skirt to keep cooler on those warmer summer days. A black, rhinstoned cincher helps to add a little sparkle to the look with a fun pair of strappy sandals. Lastly, my favorite Batman earrings and a Harley Quinn purse help to complete the entire look. For my evening outfit, I wanted something that would keep me warm during the cool summer evenings. The moment I saw this next gen sweater at Mod Cloth, I knew it would be perfect paired with dark leggings and a tunic tank. I added some sneaker wedges for comfort, and then the Starfleet necklace to finish the look off. I love Star Wars, no surprise there, so my day outfit is one of my staple looks that’s perfect for warm weather and running around a con, while still looking stylish. 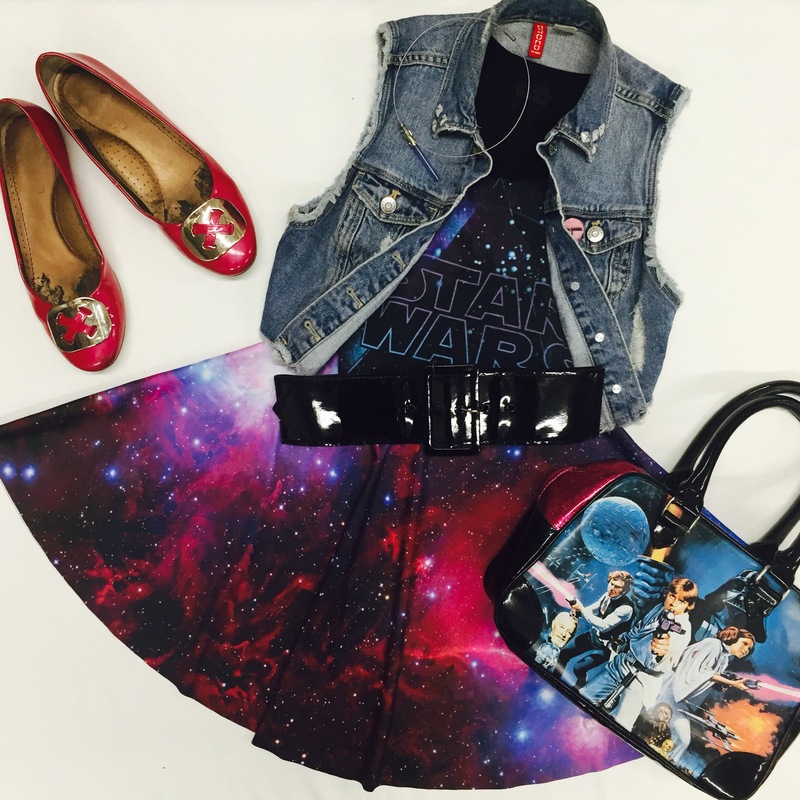 I paired a Star Wars tank with a galaxy print skirt, and added a belt and vest for a bit of layering. Layering can really help an outfit go from casual to chic in a snap. The addition of a pair of pink flats and a sparkly pink Star Wars purse means I’m sure to be found in the crazy SDCC crowds. I topped off this look with one of my favorite pieces of jewelry, a purple jade lightsaber pendant. 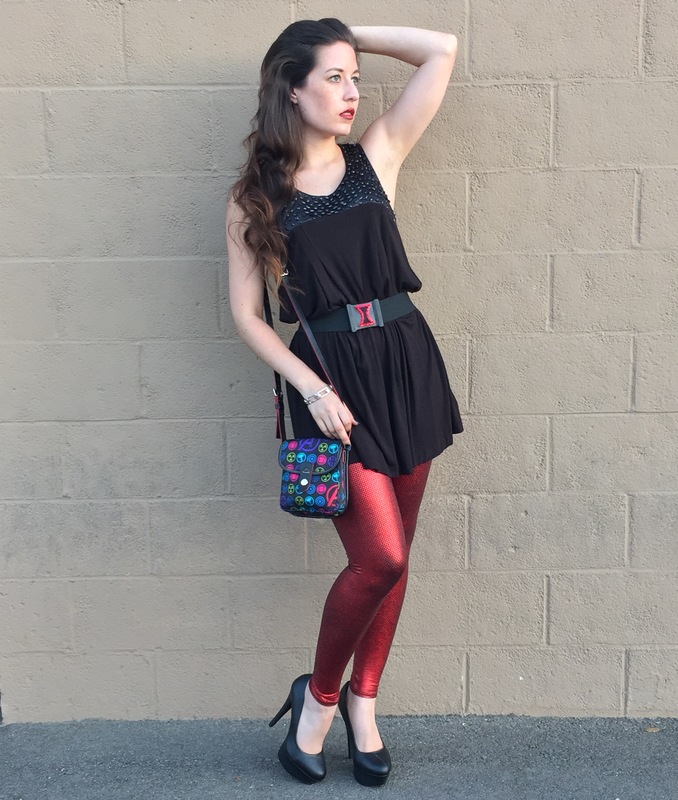 Making use of one of our DIYs, my night outfit consists of a Black Widow rhinestoned belt paired with a black rhinestone embellished tunic and glittery red leggings. Black and red are such great fashion staples, no wonder Black Widow always looks so stylish! The Avengers mini purse from the Disney’s Avengers Marathon is one of my favorite newer pieces, and is an ideal purse for a convention. A pair of ridiculously too high black heels felt like a must for a Black Widow themed look, even if they’re not particularly practical for the streets of San Diego. I don’t own any spider-themed jewelry, so I decided to finish off this look with a Captain America bangle bracelet…she played a prominent role in his last movie, so I think it works! We had a ton of fun doing this and loved collaborating with the other bloggers! 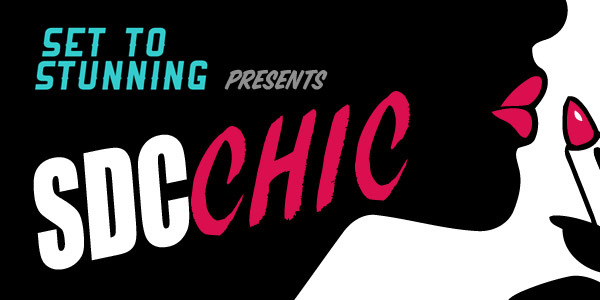 We hope this has inspired you to put together some great outfits when attending conventions. We’ll be posting other outfits and fashion finds on our Instagram throughout the weekend, so make sure you’re following us to see all the fun stuff!